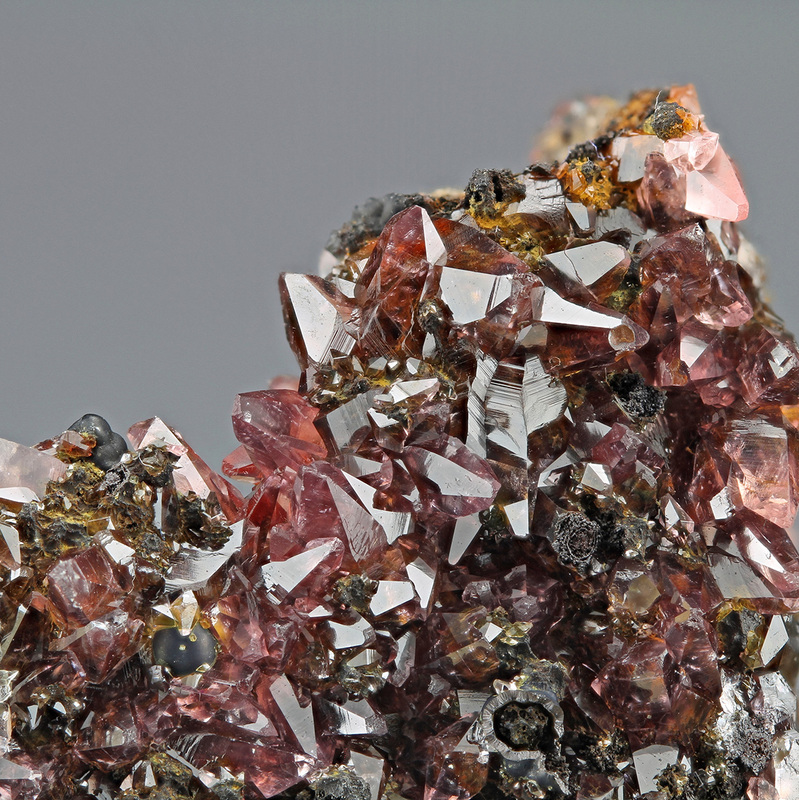 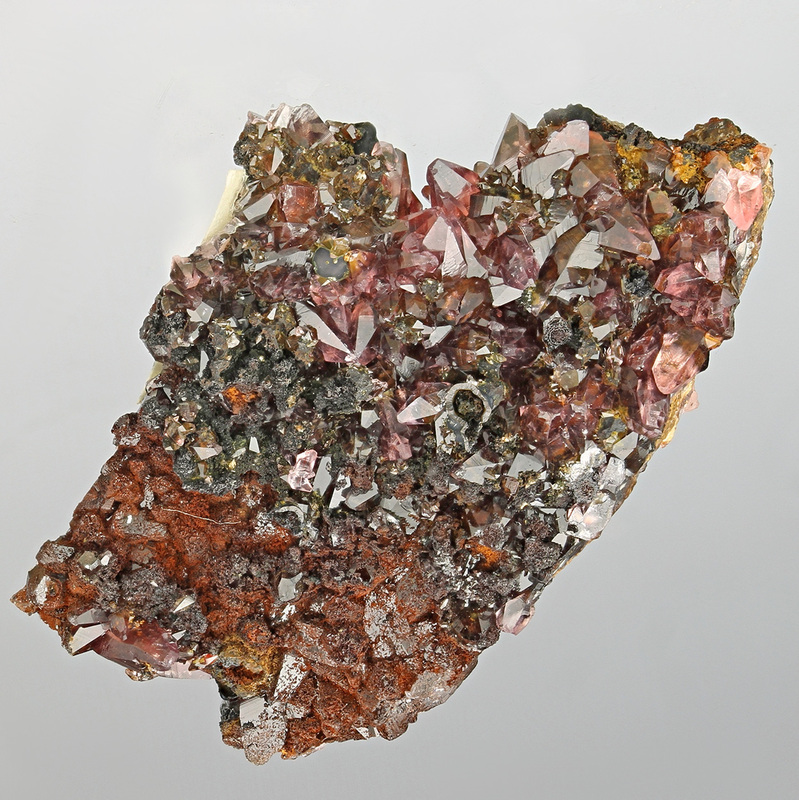 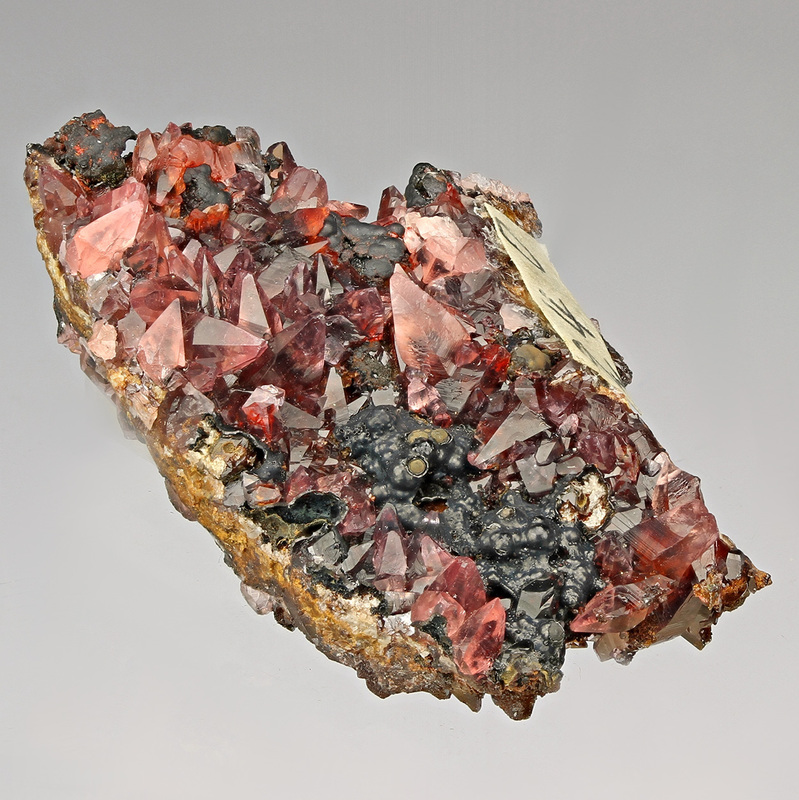 A super rare german classic from Ohligerzug Mine showing sharp, gemmy, pink-red Rhodochrosites up to 5 mm on front and back side of the specimen. 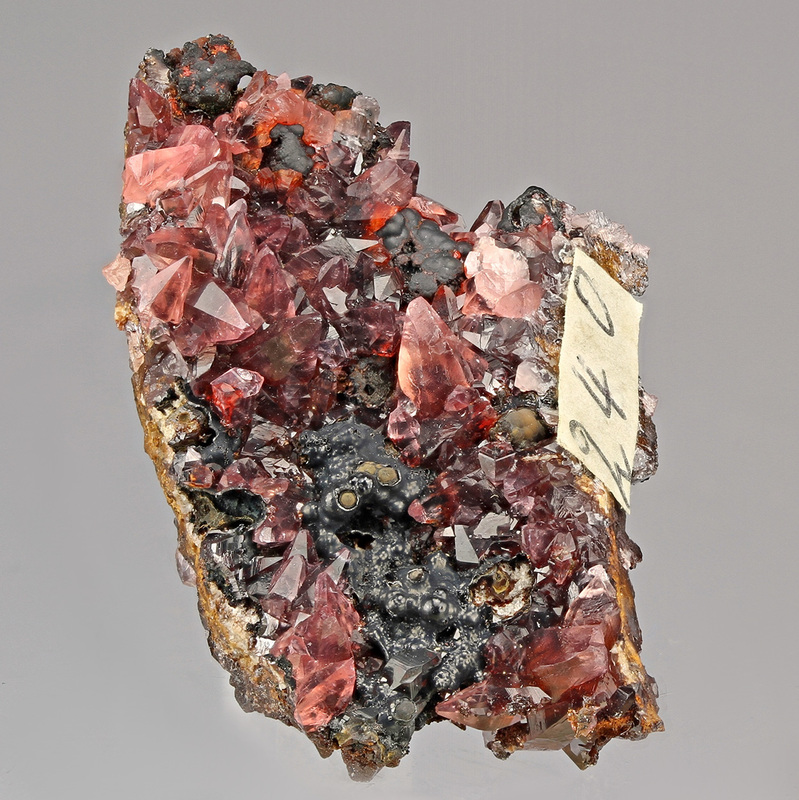 With attached handwritten collection number, most likely a late 19th century find. 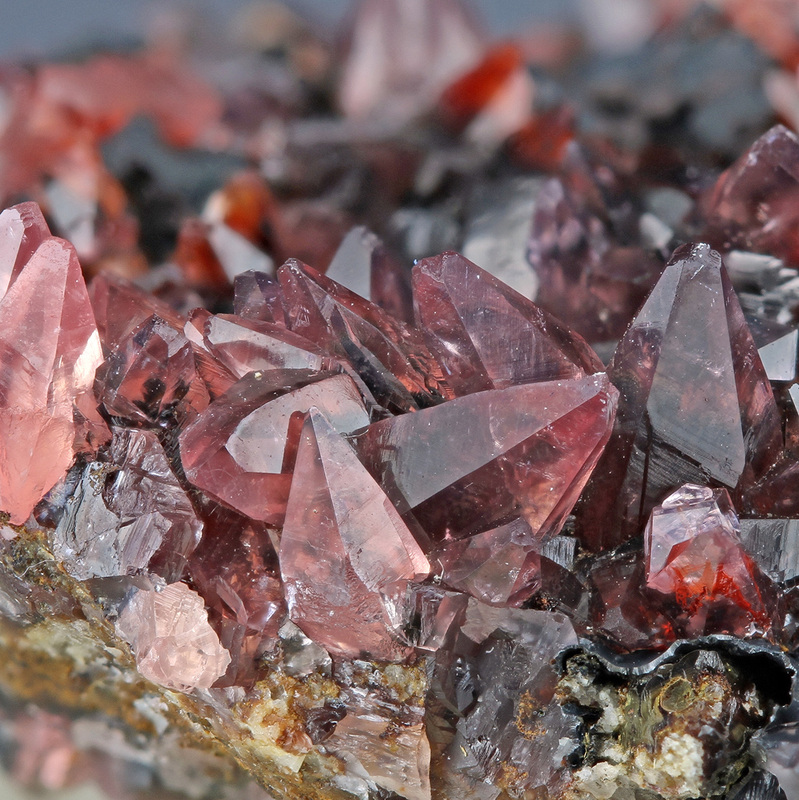 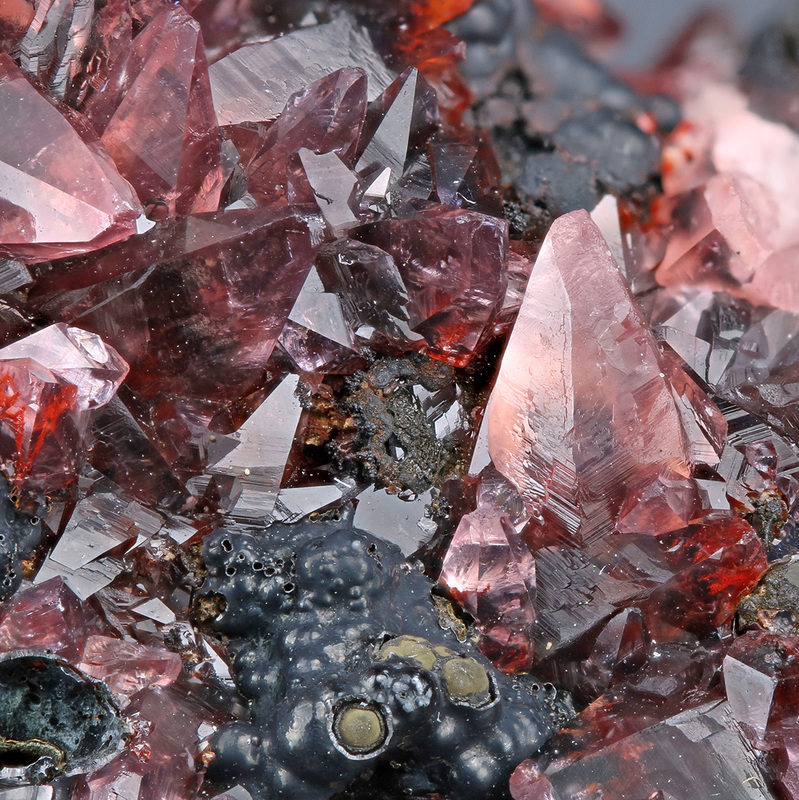 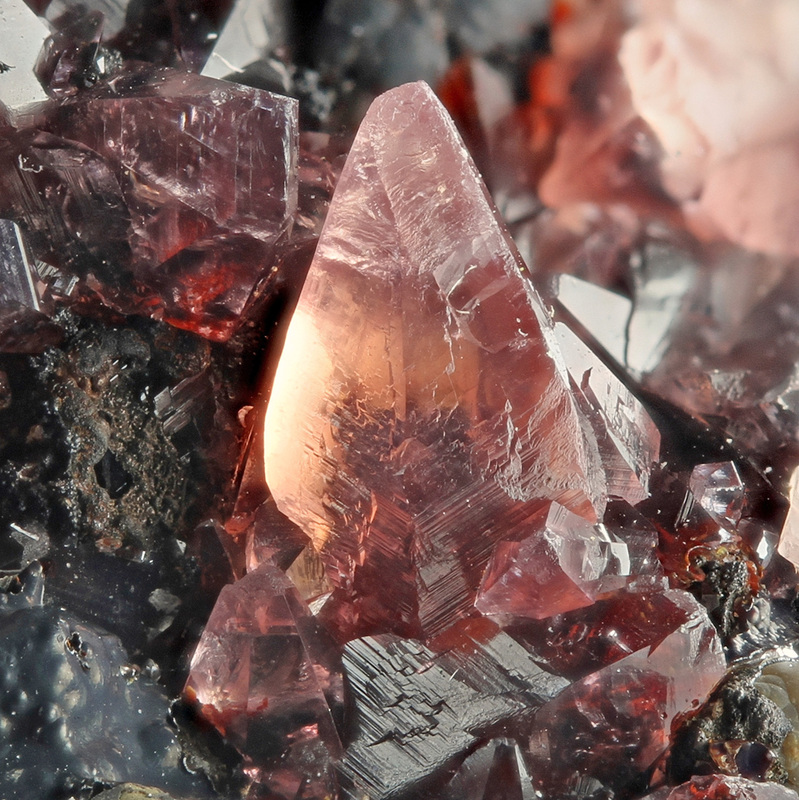 It is said that the mine produced the most beautiful Rhodochrosites of the Siegerland.